The lecture will be held in the Neill Theatre, Trinity Long Room Hub, Trinity College Dublin, on Thursday 6 October 2016, at 1:00pm. In Case C-362/14 Schrems v Data Protection Commissioner  ECR I-nyr (Grand Chamber, 6 October 2015), the Court of Justice of the European Union invalidated the EU-US Safe Harbour arrangement allowing personal data to be transferred to the US. The judgment is a landmark in the Court’s data protection case law, and illustrates the tension between the high level of legal protection for data transfers in EU law and the illusion of protection in practice. The judgment has undermined the logical consistency of the other legal bases for data transfer besides the Safe Harbour, and reactions to it have largely been based on formalism or data localization measures that are unlikely to provide real protection. Schrems also illustrates how many legal disagreements concerning data transfers are essentially political arguments in disguise. The EU and the US have since agreed on a replacement for the Safe Harbour (the EU-US Privacy Shield), the validity of which will likely be tested in the Court. It is crucial for data transfer regulation to go beyond formalistic measures and legal fictions, in order to move regulation of data transfers in EU law from illusion to reality. 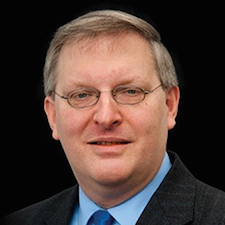 Professor Christopher Kuner is a leading expert on the law of data protection and, in particular, the law governing the international transfer of data. He is Professor of Law and Co-Chairman of the Brussels Privacy Research Hub at the Vrije Universiteit Brussel and Senior Privacy Counsel in the Brussels office of Wilson Sonsini Goodrich & Rosati. He is also a Visiting Professor in the Department of Law in the London School of Economics and Political Science, an associate professor in the Law Faculty of the University of Copenhagen and an affiliated lecturer and Honorary Fellow of the Centre for European Legal Studies of the University of Cambridge. He is the author of Transborder Data Flows and Data Privacy Law (OUP, 2013) and Editor-in-Chief of the Journal of International Data Privacy Law (also published by OUP). Attendance is free, and all are welcome to attend, but booking is essential, so please register at eventbrite. The lecture is organised by the Ethics & Privacy Working Group of the ADAPT Centre, TCD, in conjunction with the Trinity Long Room Hub, TCD School of Law, TCD School of Religions, Peace Studies and Theology, TCD Library and DCU Institute of Ethics.